– Stay true to your values – some folks come into the legislative process and they lose who they are, so stay grounded and don’t forget who you were when you came here (Tallahassee) and that you are not more important just because you arrived. – Understand the difference between value and opinion – you can compromise on an opinion but not on your values. – Everyone is entitled to their beliefs even if you don’t believe it. – Keep your word even if it costs you to do so. – Be able to have a debate and have a dinner. Never let debates become personal. – And when you leave the legislature, all you will have is your relationships – no one will remember the bills and so be sure to deepen your relationships while in office and take them with you when you leave. Up next is all the events from last week. We will be pulling some long days this week, the last week of session! This is the final scheduled week of the 2018 Florida Legislative Session. While the only constitutional requirement facing lawmakers is to pass but a single bill (an appropriations bill funding the next fiscal year’s state budget which begins July 1) there are oh so many other bills as well that both chambers would like to pass – but may simply run out of time to do so. The Senate was in session over the weekend to debate measures to make Florida schools safer, in the aftermath of the Parkland school shooting. The Senate will vote on the final bill today. It’s an issue that has delayed consideration of other legislative bills. Both chambers are also busy ironing out differences in their respective tax-cut plans. Although as of this morning, only $7.8 million separates the two chambers’ budgets ($87+ billion), differences in spending remain on economic development, tourism, and transportation issues. There is a slim chance that the legislature will not end on time if the House and Senate cannot agree on the gun/school safety legislation because of the pressure each legislator will have from their constituents if they return home without addressing these issues. School safety dominated the beginning of budget negotiations last week. Budget differences that weren’t resolved in subcommittees by this past Friday went to the Appropriations Chairs over the weekend, and the $7.8 million referenced above are now for House Speaker Corcoran and Senate President Negron to resolve together privately. Legislative leaders announced plans to have the final budget completed and distributed to all members by tomorrow, which would begin the 72-hour “cooling-off period” required by the state constitution before a final budget vote could occur on Friday. Each chamber can only vote the entire budget up or down and cannot adjust individual appropriations. The Governor of course, retains line-item veto power. Assignment of Benefits (AOB) – While it was doubtful from the very start of this legislative session that meaningful reform would occur on this critical insurance consumer issue, the gun control debate pushed this issue the rest of the way out of the picture. So this will make the sixth year in a row that the Florida legislature failed to take action to reform obvious and growing AOB abuses. The Florida Senate’s version of AOB reform, SB 1168 by Sen. Greg Steube (R-Sarasota), did not make last Monday’s Rules Committee agenda – a requirement before it could go before the full Senate for a vote. The Senate’s remaining option to take up the passed House bill, amend it, and send it back to the House, shows no signs of interest. Compromise among insurance, legal, and contractor interests hasn’t happened either. It just appears that special interests will prevail over consumer interests, with abuse by bad actors who continue to pocket ill-gotten gains. The Senate bill still doesn’t address one-way attorney fees, which is driving rising consumer rates within AOB. (See More than Half of Insurance Litigation Involves AOBs in this newsletter) The bill would continue current practice to allow such fees to the prevailing party in a lawsuit or settlement – whether that be the policyholder or a third-party vendor exercising an AOB. This is contrary to the intent of Florida’s one-way attorney fee statute as testified to by former state Supreme Court Justice Ken Bell and to the advice of Florida Insurance Commissioner David Altmaier and many others. The Florida House on January 12 passed its version of AOB reform, with HB 7015 by Rep. Jay Trumbull (R-Panama City). The bill addresses AOB abuses and enhances consumer/policyholder protections. While one-way attorney fees would continue to exist for first-party claims filed by a policyholder against an insurer, this bill sets special two-way attorney fees for third-party claims. Its purpose is to discourage frivolous and abusive claims and lawsuits. See Bill Watch Backgrounder: Assignment of Benefits for more details on the history of AOB reform and these current bills, the latest data, and past committee and stakeholder discussions. Meanwhile, bills that would make more modest changes to AOB practice are progressing. Rep. David Santiago (R-Deltona), who has been a champion in the fight against the abuse of assignment of benefits for the past several years, has a catch-all insurance bill (HB 465), known as an “omnibus” bill to change several provisions of the insurance code. The bill has been revamped as CS/CS/HB 465 and will be debated for final passage on the House floor today and head over to the Senate for consideration. Previous changes to the original bill included elimination of a provision that would have excluded from the Department of Financial Services complaint registry complaints filed by third parties who are not satisfied with an insurance company’s claims handling when an assignment of benefits is involved. Among other non-AOB changes in this bill is the addition of the Intelligent Mail Barcode or other similar tracking methods used or approved by the United States Postal Service as an acceptable delivery method under a policy’s proof of mailing requirement. Majority Leader Ray Rodrigues questioned Rep. Santiago on the veracity of the process, noting it tracks a package to the mail center and then the mail truck, but not to someone’s home. Rep. Rodrigues said he knows from personal experience (and those of his neighbors) that mail mix-ups occur and said something as important as an insurance notice should have a traceable delivery abilities. Look for more discussion about this when the bill is debated on the House floor. A revamped companion, Senate Bill (CS/SB 784) by Senator Brandes passed its final committee with a unanimous vote by the Appropriations Committee this past Friday. It can now be heard by the full Senate. Like its counterpart above, the bill contains an AOB provision that mediation may be requested only by the policyholder, as a first-party claimant; a third party, as assignee of the policy benefits; or the insurer. However, an insurer is not required to participate in any mediation requested by a third party assignee of policy benefits. Windshield AOB – Likewise, Windshield AOB reform through Senator Dorothy Hukill’s CS/CS/SB 396 has also run out of time, as its final committee – Banking and Insurance – is no longer meeting. During its last committee, there were ruffled feathers from some windshield repair shops following passage of the bill by the Senate Commerce and Tourism Committee on January 29. The bill would allow auto insurers to require an inspection of a damaged windshield of a covered motor vehicle before the windshield repair or replacement is authorized. The bill addresses what Sen. Hukill has called “the proliferation of damaged windshields in Florida by bad actors, waiting in parking lots and car washes, offering free windshields and incentives for their services, whether needed or not, and it’s driving up costs.” The bill includes requirements that the inspection take place within 24 hours from the notice of a claim – but must be skipped if the damage has impacted the vehicle’s structural integrity or otherwise would be a violation to drive on the roadway. The bill is also meant to cut down on the number of AOB lawsuits by out-of-network windshield shops. Those lawsuits, according to the state Department of Financial Services, have grown from 397 in 2006 to 19,513 in 2017. Prior to the meeting, Hukill filed an amendment that eventually passed which would prohibit windshield shops from offering incentives to customers to file insurance claims for damaged windshields. The bill has been revamped several times. Hukill’s bill has an identical companion bill in the House (HB 811) by Rep. Plasencia, which never saw its first committee hearing. Workers’ Compensation – Like AOB reform, Workers’ Comp reform this session is another dead man walking. Despite being fast-tracked by the Florida House, the Senate never produced a formal bill. Business groups’ support of the House effort has been lukewarm, saying it could be “premature and ultimately, inadequate” especially in restricting attorney fees. The House, on January 12, passed HB 7009 by Rep. Danny Burgess (R-Zephyrhills). It’s a near replica of HB 7085 from last session that died over disputes on maximum hourly attorney fees. This is by far one of the most contentious – and by court rulings, most immediate – issues facing the legislature after the state Supreme Court’s 2016 ruling that our workers’ comp system was unconstitutional. While the bill has had no Senate companion, Senate President Negron was quoted in January as saying his chamber is eager to pass something this session. Last year’s House workers’ comp bill came on the heels of a 14.5% average increase in workers’ comp rates – adding to the urgency. This fall, however, OIR approved decreased rates averaging 9.5%. Rep. Burgess has warned that those decreased rates don’t reflect the lagging cost increases still anticipated from state Supreme Court decisions throwing out limits on attorney fees and extending certain disability payments. Recent statistics do show increases in workers’ comp legal fees, as previously reported in the LMA Newsletter. Rep. Burgess said it was important to be proactive and pass reforms now, before the next rate increase. The bill eliminates fee schedules but puts a cap of $150/hour on plaintiff (workers) attorney fees. Yet business groups’ support of the measure has been lukewarm, saying it could be “premature and ultimately, inadequate” especially in restricting attorney fees. Workers’ Compensation for First Responders – This is one issue that looks like it will cross the finish line in both chambers and has the support to make it into law. House bill CS/CS/HB 227 by Rep. Matt Willhite (D-Royal Palm Beach) received new life last week, after the Florida League of Cities withdrew its opposition to the bill, following a public shaming by the CFO for “knowingly peddling a deceptive report.” The CFO sent an email to lawmakers taking up this and its Senate counterpart last week, saying the state Division of Workers’ Compensation reviewed the League’s analysis and found it overestimated the amount of time first responders could be out of work and contained “outrageous and absurd assumptions made to skew opinion on this important issue.” The bill passed the Government Accountability Committee unanimously last Monday and will be heard for final passage today. The bill removes the requirement on some first responders that there be a physical injury in some circumstances in order to receive medical benefits, as well as lost wages, for a “mental or nervous injury”, so long as the responder witnessed a specified traumatic event. These efforts are inspired, in part, by the city of Orlando’s refusal to pay such benefits to a police officer reportedly diagnosed with PTSD after responding to the Pulse nightclub shootings. Meanwhile, CS/SB 376 by Senator Lauren Book (D-Plantation), passed both the Appropriations and Rules Committees and the full Senate last week. Personal Injury Protection (PIP), also called No Fault Insurance – The third of the big three insurance issues this legislative session (joining AOB and Workers’ Comp reforms) reached its unofficial demise as well this past week, with a directed drama that played out before a Senate committee. It included a well-orchestrated effort by some insurance industry groups to kill the Senate version of PIP reform, CS/SB 150 by Senator Tom Lee (R-Brandon). The feeling is that the juice isn’t worth the squeeze in repealing PIP right now, without including meaningful protections from bad faith lawsuits that would likely go with the territory of returning to a tort system. Insurance Commissioner David Altmaier, who has been supportive of PIP repeal, focused on the glass being a tenth empty instead, in agreeing with a legislator in the meeting who asked if 7.6% of Broward County residents who have minimum insurance PIP-only policies, would see 71% rate increases if PIP were repealed. Altmaier responded that was a reasonable assessment. The Senate Appropriations Subcommittee on Health and Human Services killed the repeal bill by a 6-1 vote, with Senator Baxley the lone dissenter. There was a procedural move at the tail end of the committee by Chairman Flores to keep the bill alive for future consideration but that move may not be enough. Both the now-failed Senate bill and already-passed House bill would eliminate the state requirement that motorists carry $10,000 in PIP insurance and put responsibility for vehicle accidents on the party at fault. The Office of Insurance Regulation’s often-referenced September 2016 Pinnacle Actuarial Resources report chronicles the rapidly growing PIP rates since the legislature’s 2012 reforms and projects varying savings for most Florida drivers under different PIP repeal scenarios. So at this point, only the House has passed PIP reform with its January 12 passage of HB 19. The Senate bill is still “in play” but unless the Senate and House want to have the conversation about it, the subject is dead. The House bill eliminates PIP and would require motorists instead to carry Bodily Injury liability insurance at a minimum $25K/$50K level. 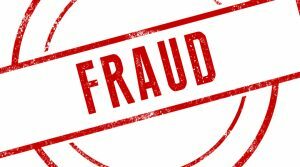 Rep. Erin Grall (R-Vero Beach) who is sponsoring this bill for second year in a row, has noted that despite various PIP reforms in the past, costs keep going up, driven partly by fraud. OIR’s Pinnacle and committee staff analysis show auto rates would go down (5.6% overall) if the bill passes and should encourage those driving illegally without proper insurance (22% of Florida drivers she has said) to get coverage. The bill also revises the uninsured and underinsured coverage legal damage thresholds. The Senate’s reform goes beyond the House bill and replaces PIP with mandatory $5,000 of Med Pay coverage (and loses the consumer savings as a result) plus varying amounts of Bodily Injury liability limits which appears to give consumers choices. Senator Lee revamped his original bill to focus Med Pay coverage solely on emergency hospital treatment and within two weeks after the accident. The bill was further amended along the way to allow less expensive treatment by other practitioners, including chiropractors. Some senators expressed concern in a past committee that the bill will effectively raise auto insurance rates for those motorists who have just PIP policies. But Senator Lee had refuted that, noting that mandatory BI will cost $49 per $1,000 of coverage versus the current $121 per $1,000 of PIP coverage. As an example, he said a scenario of PIP + minimum BI + Med Pay would cost just $4 more, proof of a more efficient system without PIP. The Property Casualty Insurers Association of America, which opposed PIP repeal at last week’s Senate hearing, released a report in early February it commissioned by the actuarial firm Milliman, which states that eliminating PIP under the House’s already passed HB 19 would increase, not decrease coverage costs based on likely motorist scenarios. The Milliman report says an increase of 5.3% or $67 is likely under relevant variations in coverage and sample size, as more drivers will buy uninsured and underinsured coverage for protection against motorists who skip buying insurance altogether. The report says the increased costs result as well from the addition of non-economic damages under bodily injury and uninsured lines that don’t exist today under no-fault PIP. Combining HB 19 with the Medical Pay provisions of the Senate’s CS/SB 150 would see average coverage costs rise 6.4% or $80, said Milliman. Senators, who were facing pressure by Incoming Senate President Bill Galvano to “get ‘er done” on PIP this session before he takes over in the fall will have to deal with this during his Senate presidency. Affordable Housing – Bills in both houses would create a Hurricane Housing Recovery Program and a Rental Recovery Loan Program to provide Florida residents funding for emergency housing and repairs after hurricanes. The programs would be funded by a 20% allocation (about $62 million this year) of the state’s existing Sadowski Affordable Housing Trust Fund. CS/CS/HB 987 by Rep. Bob Cortes (R-Altamonte Springs) was passed by the House this past week and sent to the Senate for consideration. The Senate’s own bill, SB 1328 by Senator Keith Perry (R-Gainesville), was passed unanimously this past week by the Appropriations Committee and now goes to the full Senate. Health Care Disaster Preparedness & Response – A revamped HB 7085 by Rep. Ralph Massullo (R-Beverly Hills), a medical doctor from the small town of Lecanto, in Citrus County, passed the House unanimously this past week and was sent to the Senate for consideration. The bill addresses the shortage of special needs shelters during Hurricane Irma and expands the list of people – including health care students and college professors – who can help provide care during disasters. The bill directs the state Department of Health, in coordination with the Division of Emergency Management and local emergency management agencies, to maintain a statewide registry of persons with special needs; requires nursing homes, assisted living facilities, home health agencies and nurse registries to have an emergency management plan & to conduct staff training; reassigns responsibility from DOH to AHCA for establishing & maintaining online database for licensees providing residential or inpatient services to report information regarding emergency status, planning, & operations; and requires licensees to provide for continuation of services under emergency conditions. The House Health & Human Services Committee in mid-February heard some impressive numbers from Hurricane Irma. Almost 700 shelters were opened throughout the state, housing 191,764 people. There were 113 special-needs shelters in 53 counties, serving 10,452 people with special needs and 4,490 caregivers. The committee heard testimony that many shelters weren’t staffed adequately. Trash Pickup – The House this past Friday temporarily postponed further consideration of CS/HB 971 by Rep. Randy Fine (R-Palm Bay), following his announcement he was withdrawing the bill. Fine said he has reached agreement with major municipal trash hauler Waste Management and will not pursue the bill this year. The bill would prohibit a municipal or private garbage service from charging customers for missed trash pickups, unless the trash is removed within four days of the normally scheduled date. A House committee earlier in the week removed telecommunications companies from the bill – they would have been prohibited from charging their customers for service that was interrupted for longer than 24 consecutive hours, unless it was the customers fault. The bill, during its past committee stops, opened a broader discussion on the timing of garbage and yard waste both after and before a storm. Trash haulers who spoke said there should be no collection of garbage or yard trimmings 48 hours before a storm, as they can become projectiles in high winds. Afterward, in the case of Hurricane Irma in Jacksonville, one hauler testified many areas of the city were still flooded seven days later, preventing trash trucks from garbage pickup. Committee members at those meetings expressed concern about the complexity of the bill and that it would create new costs that would inevitably fall on customers. 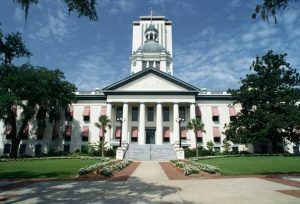 Underground Utilities – Legislation (HB 405) already passed by the House giving the state Public Service Commission the sole ability to require underground transmission lines, passed the Senate February 21 and awaits Governor Scott’s signature. The move ends a court battle of home-rule by Miami-Dade County that wanted the right to determine underground transmission lines when it was reviewing FPL’s plans to add two nuclear reactors to its Turkey Point Generating Station. Senator Tom Lee, who had sponsored a companion bill in the Senate (SB 494), said the measure makes changes that essentially revert the siting process to what it had been for 45 years prior to the court ruling. Nursing Home Emergency Power – The Senate Rules Committee last Thursday agreed to introduce two bills – SB 7028 and SB 7030 – that respectively would require assisted living facilities and nursing homes to have backup power sources in the event of another hurricane or other outage. The measures were prompted by the deaths of residents of a Hollywood nursing home that lost its air-conditioning system during Hurricane Irma. The measures later passed the Appropriations Committee and are ready for a final vote in the Senate. They include $350,000 to reimburse ALFs with six or fewer beds that have had no regulatory violations up to $1,000 to offset the costs of buying and installing emergency power. Meanwhile in the House, Health & Human Services Committee Chairman Travis Cummings (R-Orange Park), has been working to develop the financial structure needed as part of new state Health Department rules that would require these long-term care facilities have back-up generators. The rub is how to help fund the venture for the state’s 3,000 Assisted Living Facilities, which unlike nursing homes, cannot offset the cost with Medicaid funding. Any rule that increases the costs of state regulation by $1 million or more over a five-year period requires legislative approval first. Rep. Cummings committee this past week produced HB 7099 which is ready for a final vote in the House. Fuel Emergencies – CS/HB 7083 features a number of the recommendations made in the House Select Committee on Hurricane Response and Preparedness report, with the primary focus though on better fuel delivery to Floridians during time of crisis. The bill passed the House unanimously last week and is in the hands of the Senate. It requires a study to be completed by July 1 that would outline how rail tank cars and mobile fuel transfer systems could be used as temporary storage and dispensing facilities for motor vehicle fuels before, during, and after a hurricane. The measure was prompted by the run on gas and various shortages that occurred during the evacuation from South Florida during Irma. The state agriculture commissioner would be empowered to lower gas prices during an emergency under an amendment previously added to CS/CS/HB 553, a House omnibus bill on regulations by the Department of Agriculture and Consumer Services. The bill is considered dead – while still awaiting final consideration by the full chamber. The measure’s specific intent is to require gas stations that run out of lower octane fuel to then sell their higher octane fuels at the lower octane price. In a prior committee meeting, a representative from the Florida Petroleum Marketers Association said the measure would place Floridians at greater risk of predatory pricing in the longer term, because the big oil companies can afford to sell 93 Octane gas at 87 Octane prices while the smaller mom and pop operators cannot. Representative Jamie Grant (R-Tampa) pointed out the measure would help consumers immediately prior to and after a disaster, when they need it most, in what was a very good debate among members. Governor Directives – Governor Scott in early February issued a series of directives to state agencies, mostly the Department of Transportation, to begin immediate work implementing some of the House Select Committee report’s recommendations. This includes the DOT by this July, identifying areas along major evacuation routes where more fuel services are needed and looking at options to expand fuel capacity for first responders. Other directives include expanding emergency shoulder use along key interstates, a strategy used during Irma last September as traffic backed up while motorists fled north on I-75 ahead of the storm. The Governor also directed that cameras and message signs be installed along I-75 from Ocala north to the Georgia state line and enhancements be made to the state’s “Florida 511” traffic information website for motorists. The DOT’s previous review suggested emergency shoulder plans for I-75 northbound from Alligator Alley in Fort Lauderdale; on the turnpike northbound from Orlando; on Interstate 95 northbound from Jupiter to south of Jacksonville; and on Interstate 10 westbound from I-75 to just east of Tallahassee. An extension of the Suncoast Parkway north from the greater Tampa area to the Georgia state line remains under existing long-term study. A 13-mile extension into Citrus County had previously begun construction; an additional 15-mile extension beyond that is on the books but unfunded. Hurricane Flood Insurance – There are other bills prompted by Hurricane Irma’s aftermath. CS/SB 1282 by Senator Annette Taddeo (D-Miami)/CS/CS/HB 1011 by Rep. Janet Cruz (D-Tampa) is on its way to the Governor for his signature. The measure was prompted by two realities: upwards of 60% of Irma’s damage here was caused by water and up to 80% of Florida flood victims may not have either NFIP or private flood coverage. The bills would require homeowners insurance policies that do not include flood insurance (most don’t) to so declare and would require policyholders to initial that declaration in acknowledgment. “It will save a lot of trouble for homeowners,” Senator Taddeo told the Senate Community Affairs Committee mid-February, prior to its passing her bill. “After Hurricane Irma, a lot of homeowners were calling my office saying that ‘My insurance isn’t covering this’,” she said. CS/SB 1282 contains two amendments that 1) require the policies to acknowledge that private flood coverage is available for those homeowners with property valued above the National Flood Insurance Program’s $250,000 coverage limits; and 2) push the effective date of the measure to 2019 to allow insurance companies enough time to change their forms. The passed House bill removed the specific reference to the National Flood Insurance Program. Florida Hurricane Cat Fund – An effort to return a portion of property insurance premiums to policyholders during quiet storm years has ended for this year. SB 1454 by Senator Jeff Brandes (R-St. Petersburg) passed its first hearing on February 20 before the Senate Banking and Insurance Committee but has run out of time. Like the House bill below, it would accomplish savings, but more quickly, by eliminating the rapid cash build-up factor resulting in immediate rate savings. “This bill is eliminating a hurricane tax on hardworking Floridians,” said Senator Brandes. The House bill, CS/HB 97 by Rep. David Santiago (R-Deltona) was not scheduled for last Monday’s final Commerce Committee, a necessary step to reach the House floor. The bill, as does the Senate’s, addresses the growing balance – until Hurricane Irma – of the Florida Hurricane Catastrophe Fund. The Fund provides reimbursements to insurers for a portion of their catastrophic hurricane losses. Insurers pay premiums into the fund each year and pass the costs along to their policyholders, just like reinsurance. But in quiet years, the fund has grown beyond its current statutory requirement of $17 billion, prompting the question: Should you reduce collections and thereby reduce premiums to policyholders? Direct Primary Care – This is an issue that looks like it will cross the finish line in both chambers and has the support to become law. CS/SB 80 by Senator Lee, passed its final committee last week, with the Appropriations Committee voting unanimously to approve it and now it awaits full Senate action. The Senate bill, like its House counterpart, is informally dubbed “concierge medicine for the masses”. HB 37 by Rep. Danny Burgess (R-Zephyrhills) passed the House on January 25. The bill allows doctors to enter into monthly fee for service arrangements directly with individuals or employers, essentially bypassing health insurance organizations. Burgess, in explaining the bill on the floor, said a lot of doctors don’t enter direct primary-care agreements because of regulatory uncertainty. The bill would make clear direct primary care is not subject to insurance regulations. Burgess said the agreements are more affordable than insurance (typically costing about $75 month) and co-sponsor Rep. Mike Miller (R-Winter Park) said the bill gives the “ultimate decision-making process” to doctors and patients. “We’re trying to lower the cost of health care and improve the outcomes,” he said. Two previously proposed amendments which would have essentially added Obamacare provisions by preventing a primary care practice from declining a new patient because of health status or discontinuing care to an existing patient due to health status, as well as eliminating refunds to an employer paying on behalf of an employee, directing the refund go instead to the patient – failed to pass. Health Insurer Authorization – This is another issue that’s down to the wire. While CS/CS/SB 98 by Senator Steube was passed by the Senate on January 31, its House companion CS/CS/HB 199 by Rep. Shawn Harrison (R-Tampa) was not scheduled to be heard last week by the House Health & Human Services Committee at its last meeting of the session. Unless the Senate bill language finds its way into another existing House bill that passes its chamber, this concept will have to wait another year. The bills collectively would require insurers and Medicaid HMOs to approve or deny prior authorization requests as well as appeals from denials of care within three days in non-urgent situations and one day if the care is urgent. It would also prohibit prior authorization forms from requiring information not necessary to determine the medical necessity or coverage for a treatment or prescription. Health insurers and their pharmacy benefits managers would also have to provide requirements and restrictions on prior authorizations in understandable language and to make them available on the internet, along with a 60-day notice of any changes. It also defines “step therapy” and prohibits insurers and HMOs from requiring patients repeat step therapy protocols. In recognition of the current opioid crisis, the Senate previously approved an amendment requiring insurers waive step therapy requirements if the treatment being recommended is a non-opioid alternative. Payment of Health Care Claims – Senator Steube successfully passed his SB 162 that would prohibit health insurers and HMOs from retroactively denying insurance claims under certain circumstances. Its House companion, HB 217 by Rep. Bill Hager (R-Delray Beach), has faced an uphill battle and failed to reach its final committee stop. So provisions of these measures are still in play and will depend on the intestinal fortitude of its sponsors whether either makes it across the finish line. The House bill, as does SB 162, would require that insurers verify a patient’s eligibility at the time of treatment to avoid doctors performing services that are later denied with insurers demanding repayment from the doctor or patient. The debate on the bill has turned into a debate on the federal Affordable Care Act (Obamacare) because the bill would apply to policies both on and off the federal exchange. Obamacare requires a three-month grace period on federal exchange policies as long as the patient paid at least one month’s premium. During the first month of the grace period, an insurer must pay all claims – during months two and three, insurers can notify providers that claims may be denied. Insurance groups, such as the Florida Association of Health Plans, opposed HB 217 during its last committee meeting as simply codifying Obamacare into state law, given it would apply to both on- and off-exchange health policies. Telehealth – Efforts to bring telemedicine to full fruition remain on life-support. CS/SB 280 by Senator Aaron Bean (R-Fernandina Beach) rolled to third reading last week in the Senate and is ready for its final vote this week. Its House counterpart never got a hearing, meaning Senator Bean would need to find a House bill willing to add his bill’s provisions that could pass the House chamber. The bill is part of a continued effort to put remote health practitioner visits via the internet on an equal footing as in-office visits, in order to reduce health costs and provide parity of care to rural patients. A state panel in 2016 executed a list of legislative directives to help smooth the kinks and establish recommended procedures to help make this bill a reality. SB 280 would establish the standard of care for telehealth providers; encourage the state group health insurance program to include telehealth coverage for state employees; and encourage insurers offering certain workers’ compensation and employer’s liability insurance plans to include telehealth services. The bill would also ban the use of telehealth for prescribing controlled substances to treat chronic or nonmalignant pain or for certifying patients for medical marijuana treatment. A companion, HB 793 by Rep. Massullo, was filed in late November and never received a hearing and so is dead. Texting While Driving – Add this issue to the life-support list as well, despite passage this past week in the House. Senate Appropriations Chairman Rob Bradly (R-Fleming Island) stalled his chamber’s version of the bill that would move Florida’s current ban on texting while driving from a secondary offense (where you can be ticketed during a traffic stop made for another reason) to a primary offense. Senator Bradley has been quoted as having serious privacy concerns over SB 90 by Senator Keith Perry (R-Gainesville), given that police would ultimately have to inspect a driver’s cellphone to prove someone was texting. The House passed its counterpart, CS/CS/HB 33 by Rep. Jackie Toledo (R-Tampa) by a vote of 112-2. It includes a previous amendment its Senate companion previously adopted requiring that the driver’s race and ethnicity be recorded by law-enforcement officers when ticketing for texting while driving. The amendment passed out of concerns about racial profiling of minorities. Under the bill, first-time violators would face a $30 fine plus court costs for a non-moving violation. Second-time offenders would face a $60 fine plus court costs with a moving violation. Those involved in crashes or texting in school zones face additional penalties. Both bills require the officer notify the driver of the constitutional right not to have their cellphone examined by authorities. Neither applies to stationary vehicles. Florida is one of four states where texting while driving isn’t a primary offense. Controlled Substances – The House last Thursday unanimously passed HB 21 by Rep. Jim Boyd (R-Bradenton) that limits prescriptions for opioids in response to the statewide crisis of opioid abuse and overdose deaths. The bill would limit those with acute pain to a three-day supply. Doctors could go beyond that to a seven-day prescription for those determined medically necessary and the doctor would be required to write “acute pain exception” on the prescription. Patients with cancer or terminal illnesses and certain trauma patients would be exempted from prescription limits. The Florida Orthopaedic Society has remain opposed to the bill, with concerns noted by the Florida Medical Association. Meanwhile, SB 8 by Senator Lizbeth Benacquisto (R-Ft. Myers) has finally been scheduled for consideration tomorrow by the full Senate, after delays created by ongoing behind-the-scene talks among the Florida Medical Association and key lawmakers and the Governor’s Office. The Senate bill differs from the House version, in part, by not allowing exclusions from prescription limits for cancer or trauma patients or those with terminal illnesses. Both it and the House bill do provide for more continuing education for responsibly prescribing opioids and requires participation in the Prescription Drug Monitoring Program by all healthcare professionals that prescribe opiates. It specifically requires doctors to check the database before writing prescriptions, to avoid enabling “doctor shopping” multiple-prescription patients. The Senate’s budget provides $53 million for the treatment and prevention of opioid addiction. The House bill would also authorize the state Department of Health to share data with other states to avoid patient abuse in filling multiple prescriptions. The House earmarked about $50 million to address the opioid crisis, with more than half of that to come from federal funding. The House also wants to spend $1 million on the statewide prescription drug database. Governor Scott has requested the legislature appropriate $53 million toward the fight against opioid abuse, something state Attorney General Pam Bondi earlier in the session called “a great start” but nowhere near enough given the funding that will be necessary for treatment. She serves on the President’s Opioid and Drug Abuse Commission. She’s also conducting a multistate investigation into potentially unlawful practices by drug companies in the distribution, marketing, and sales of opioids. This past week, U.S. Attorney General Jeff Sessions outlined his plans to create a new task force to pursue claims against opioid manufacturers and distributors. Trade Secrets in Public Records – CS/HB 459 & CS/HB 461 by Rep. Ralph Massullo (R-Beverly Hills) passed the House on February 21 and are before the Senate. These bills have not had a single hearing in the Senate which appears to indicate this subject will be a source of negotiation as we near the end of session in the next two weeks. The bills together eliminate trade secrets and its various definitions found in statutes and then restore them under a uniform definition and treatment. On February 16, three additional amendments were filed by Rep. Massullo, one of which would keep in place the bill’s proposed elimination of public records exemptions for certain information that might reveal trade secrets held by the Department of Legal Affairs but take out previously proposed elimination of similar public records exemptions for trade secrets held by the Office of Insurance Regulation and future trade secret documents submitted to the Department of Financial Services or the Office of Insurance Regulation. CS/HB 459 repeals almost all public record exemptions for trade secrets in current law, the associated processes for designating a trade secret, and references to trade secrets contained in definitions for proprietary business information. This includes the trade secret process used in the insurance code, Section 624.4213, Florida Statute. Then, its “sister” bill, CS/HB 461 enacts a new trade secret process that is not unlike current law regulating insurance entities use of trade secrets now. It clearly defines the term and specifically excludes from the definition any of the myriad contracts and agreements between agencies and outside vendors that Speaker Corcoran has been critical of. So in essence, CS/HB 459 repeals the current insurance entity trade secret practice and CS/HB 461 restores it. CS/HB 459 has companion SB 956 and similar bill SB 958 (both filed by Senator Mayfield in November) and CS/HB 461 has a similar bill in SB 958. Neither Senate bill ever had a hearing. Three cities among the most expensive premiums in the U.S.
As we noted in this edition’s Bill Watch, efforts to repeal Florida’s no-fault auto insurance law and its increasingly expensive Personal Injury Protection (PIP) insurance have failed this legislative session. But there are other market forces at work that are leading to steeper automobile rates this year, especially in South Florida. An increasing population and higher-density housing have put more vehicles on the road, leading to more crashes and fatalities. Insurance experts say distracted driving is part of the problem, too. According to a recent report by price-comparison website The Zebra, three Florida cities were among the top 10 most expensive cities to buy auto insurance in 2017. The Miami suburb of Hialeah was third most expensive with an average annual premium of $2,709 for a single driver. The city of Miami was fourth at $2,651 and Tampa was in the eighth spot at $2,553. Several auto insurers writing in Florida have had multiple years of double-digit average rate hikes. Florida’s average premium was $1,878, fifth-highest in the country, following Michigan, Louisiana, Kentucky and Rhode Island. North Carolina was lowest at $865, according to the report. The national average was $1,427, up nearly 20% since 2011. More crashes lead to more claims, which leads to more payouts, putting upward pressure on rates and premiums. The number of crashes increased 15% in Florida between 2014 and 2016, more than three times the pace of population increase. Crashes with deaths were up 27%, from 2,494 to 3,176, all according to the state Department of Highway Safety and Motor Vehicles. Cheaper gas encourages more driving and the recovering economy is also contributing to more vehicles on the roads. The Zebra study said insurance companies are penalizing distracted driving use for the first time since the advent of cell phones, though still not nearly as harshly as for other dangerous traffic violations, such as drunk driving. Incidences of cybercrime are growing faster in Florida than anywhere else in the country, according to a review of FBI and Insurance Information Institute data by Website Builder Expert. Reported incidents are increasing by 1,421 cybercrimes per year, growing faster than other states. The review estimates that in 2018, Florida will have an estimated 37,225 ranking second behind California (55,774) and ahead of Texas, Michigan and New York. Florida victims will lose an estimated $112 million to online crimes this year, an average of $3,002 per incident. “If we had to make a guess, it would be that cybercriminals are targeting areas with older populations that are less technically confident and who are more likely to fall prey to shady online tactics,” according to the review. The report notes that billions of dollars are spent each year combating cybercrime and yet the number, intensity and severity of attacks keeps increasing. New York saw a reduction in cybercrimes by about 350 complaints each year. At the opposite end of the ranking, Vermont was noted to be the potentially safest state online, with only 413 cybercrimes predicted to be reported by individuals this year. Cybercrimes can include identity theft, Internet fraud, computer hacking, file sharing and piracy. Following visits to the Florida Capitol by high school students who witnessed the Parkland school shooting, we shared in last week’s newsletter some common concepts that should unite us in the face of such tragedy. These include political tolerance, free speech, and citizen engagement in government operations. All three concepts played out this past week in a different venue – in Washington D.C. – not before Congress but before the U.S. Supreme Court. It’s the case of a Riviera Beach resident who was arrested at the podium, 30 seconds into his public comments during the local city commission meeting. Fane Lozman was speaking before the city commission in 2006 and was complaining about recent reported corruption by a Palm Beach County Commissioner. Councilwoman Liz Wade, who was chairing the meeting, deemed the speech off-topic as it didn’t pertain to Riviera Beach, and after a warning was ignored, had Lozman arrested (see the YouTube video here at the 30-second mark). At one point in the video you can hear the chair tell Lozman, “If you go out, you won’t be arrested.” He was booked on disorderly conduct and resisting arrest without violence. The State Attorney’s Office refused to prosecute. Lozman sued the city of Riviera Beach for violating his free-speech rights. The Supreme Court last week heard arguments from Lozman’s attorney that the incident qualified as a “retaliatory attack” under national standards, which lower courts haven’t been able to uniformly define. It’s the same basis used by police as probable cause for arresting street rioters. Government, she argued, could conceivably arrest political gadflies like Lozman whom they disagree with and jail them for short periods without actually charging them with a crime. This week’s hearing before the highest court in the land was actually Lozman’s second one in five years. He prevailed in a previous case where the Supreme Court ruled his floating home was not a vessel under maritime law, and was therefore not subject to imminent domain and destruction by Riviera Beach officials. He vows to resume attending city commission meetings once this current case wraps up. The Supreme Court is expected to make its ruling by summer. College Board released its 2017 AP Cohort Data Report in February, which details Advanced Placement course participation and completion by state. Florida’s results are positive, with student participation and exam completion both on the rise. Also encouraging are the number of females, minorities, and rural students taking an AP computer science course – nearly double – with the introduction this past year of a basic principles course. Florida remains fourth in the nation in the percentage of graduates scoring a 3 or above on their exams, which provides students an opportunity to earn college credit. More than 54 percent of Florida’s 2017 high school graduates participated in AP courses. Florida public and private high school students completed more than 200,000 AP exams in 2017, with a passing scores of 3 or higher. 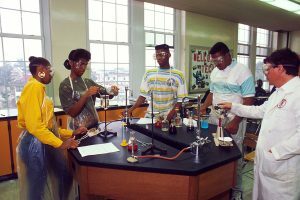 The Foundation for Florida’s Future (AFloridaPromise.org) trumpets the good numbers as the result of Florida’s nearly 20-year focus on student-centered legislation that promotes equity and opportunity. AP Computer Science Principles (AP CSP), offered for the first time in the 2016-17 school year, has dramatically expanded access to advanced computer science education. This new AP course was designed as a precursor to the intensive Java-coding AP Computer Science A course available since 1983 but taken by only a fraction of the students who take other AP STEM courses. The College Board reports that with the launch of AP CSP, the number of females who took an AP computer science course more than doubled, as did the number of Hispanic/Latino, Black/African American, and rural students. Research consistently demonstrates that AP students are better prepared for college. According to the College Board, they’re more likely to enroll in college, stay in college, do well in their classes, and graduate in four years. And then for the next 9 hours, over 50 amendments were debated with passionate pleas by Democratic senators to remove the “Marshal plan” (allowing school personnel who volunteer to be trained to have weapons on campus) from the bill. Today, the debate will continue in the Senate and then the House and Senate will negotiate this historic bill in the legislature’s attempt to prevent shooting massacres from ever happening again. I invite you to share your thoughts about this legislation and welcome your input, so that I can share it with so many legislators I have spoken to since this Valentine’s Day tragedy. Blessings to all of you for a good week.